For years, it was widely believed that the ice in Western Antarctica was unstable, but a new study suggests that scientists overestimated the stability of the ice that hold millions of gallons of water in Wilkes Basin in East Antarctica. If this ice rim were to discharge into the ocean, it would result in an unstoppable sea level rise for thousands of years. This new study was conducted by the Potsdam Institute for Climate Impact Research (PIK) using computer ice flow simulations under the ice sheet. The study's lead author Matthias Mengel described this basin as a corked bottle on a slant saying that once it is uncorked all the liquid empties out. Currently, only a rim of ice separates the water basin that is warmed by increasing ocean temperatures in place. However, the same reason that keeps the water melted also puts it in danger. As the oceans continue to warm, the relatively thin cork melts further. Once lost, the basin will empty and the ice will continue to melt, triggering a 300 to 400 centimeter long term rise in sea level. At first, scientists thought that only West Antarctica was at risk for melt off and sea level rise, but now they believe East Antarctica, which is 10 times larger, is also at risk. This new report comes after one published in late September by the Intergovernmental Panel on Climate Change (IPCC) that states that Antarctica's total melt off would contribute to 16 centimeters of sea level rise in the next century. "If half of that ice loss occurred in the ice-cork region, then the discharge would begin. We have probably overestimated the stability of East Antarctica so far," says Levermann, who is head of PIK's research area Global Adaptation Strategies. This melting would make the grounding line retreat, which is where the ice on the continent meets the sea and begins to float. The rocky ground beneath the ice forms a huge inland sloping valley below sea-level. 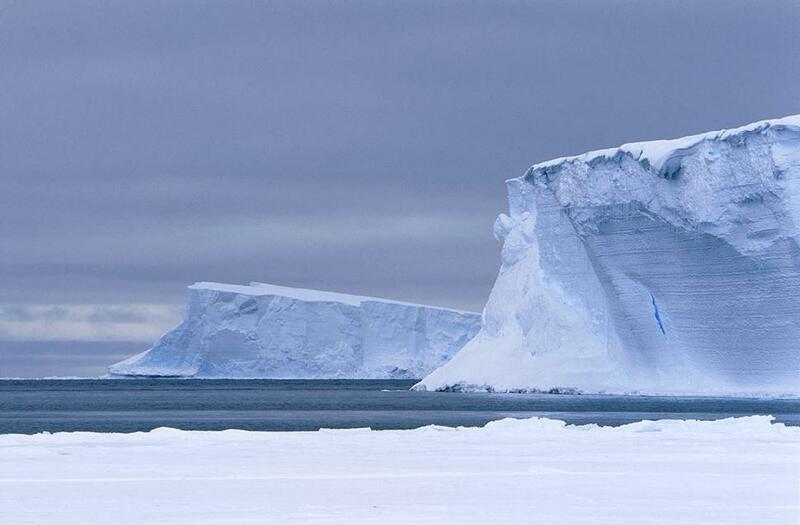 When the grounding line retreats from its current position on a ridge into the valley, the rim of the ice facing the ocean becomes higher than before. This causes more ice to be pushed into the sea where it will then melt further, triggering an unstoppable sea level rise in the long term.